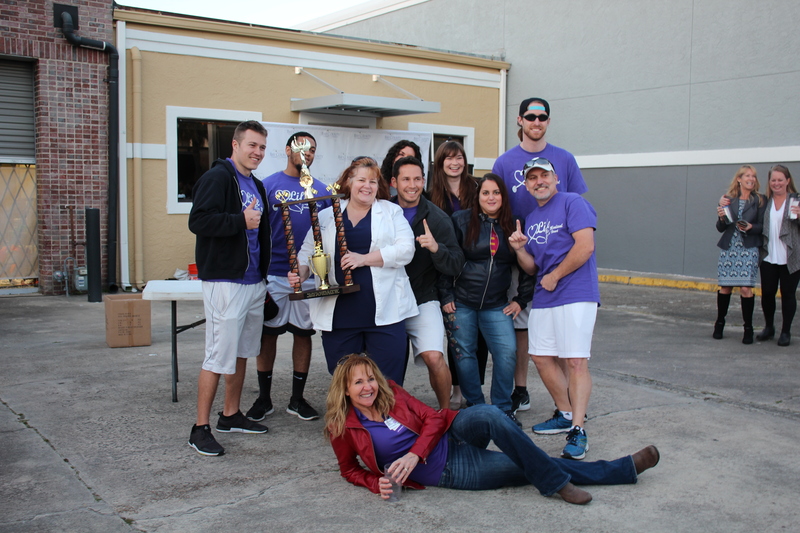 The 6th Annual Bay County Chamber of Commerce Block Party and Bed Races was held Tuesday, March 13th from 5-7 p.m. in front of the Chamber building at 235 West 5th Street. This is the 4th year the Bed Races were a part of the event. 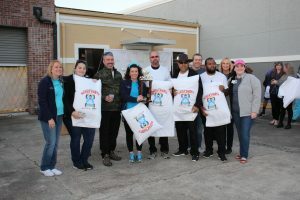 Hundreds of community businesses and residents attended the event as our Board of Directors served them with food donated by Chamber Member restaurants. Grilled hamburgers, hot dogs, barbecue, Blue Bell Ice Cream, drinks, activities for kids, and much more were featured at the event. 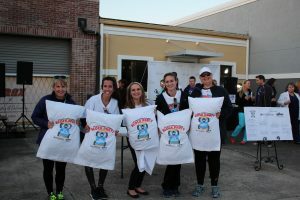 Live music was provided by the “Kyle Mitchell and Southern Sunday.” The Junior League of Panama City was also present, collecting donations of underwear, socks and athletic shoes to benefit their “Child Service Center’s mission to help underprivileged children in the Bay School District. In return, InkTrax gave away free t-shirts for the donations. This is the sixth year the Bay County Chamber of Commerce has held this free event for Chamber members and the community. 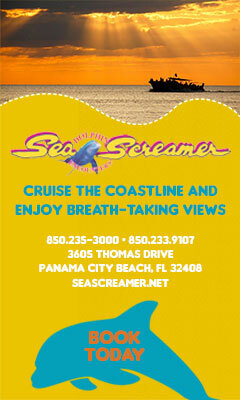 This is the only Chamber event that is open to the entire community. We would like to thank our Board of Directors, Bay Medical Sacred Heart and InkTrax for sponsoring this event. 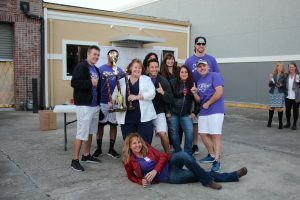 Bay Medical Sacred Heart’s team, “Super Heroes at Heart,” wins first place. 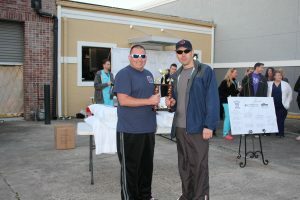 Lynn Haven Fire Rescue’s team, “Sheets and Ladders,” wins third place.